Due to be demolished soon? If not already? 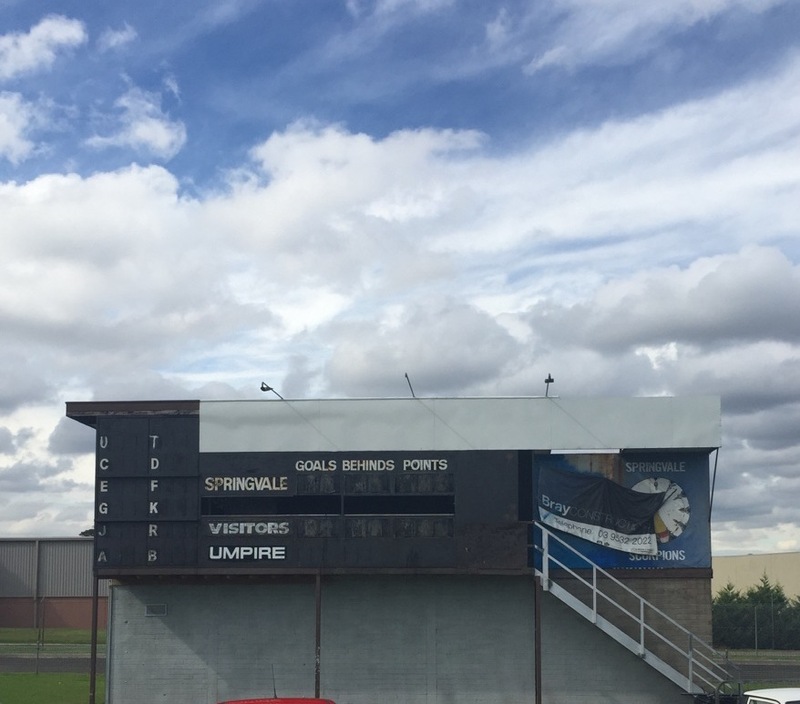 This scoreboard was used at the Newcomen Rd ground while Springvale played in the VFA/VFL right up to 2006. 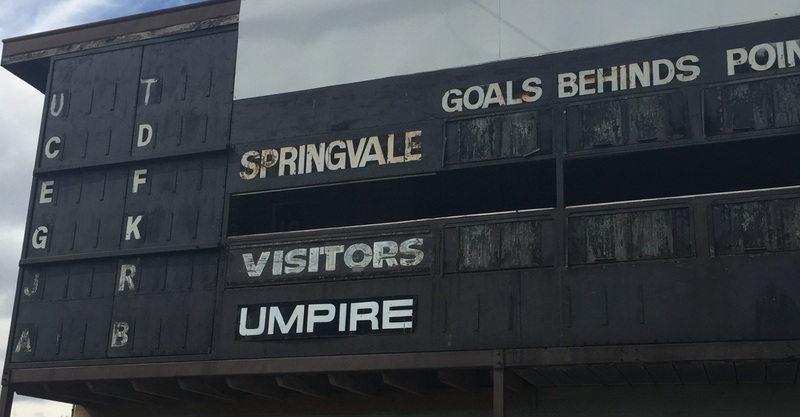 At a guess, the scoreboard was built for Springvale’s entry to the VFA in the early 1980s. Springvale won four flags in five years in the 1990s. They now play as Casy Scorpions at Casey Fields. 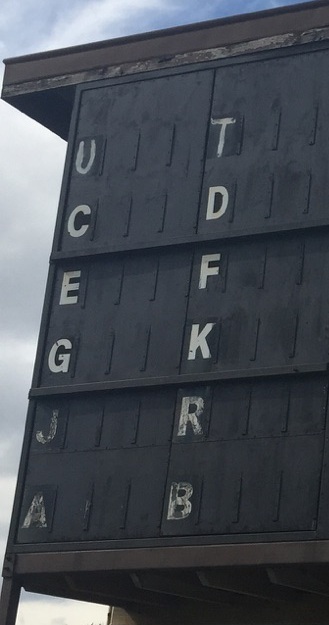 There has been a digtal scoreboard at Newcomen Rd for two seasons now, for Southern Football League games. 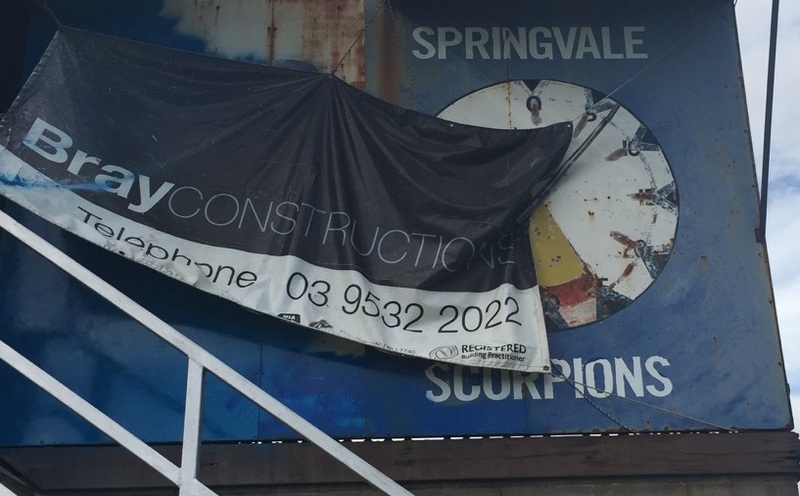 Scoreboard Pressure’s southern suburb’s correspondent visited the ground hoping to find an old sign or two. 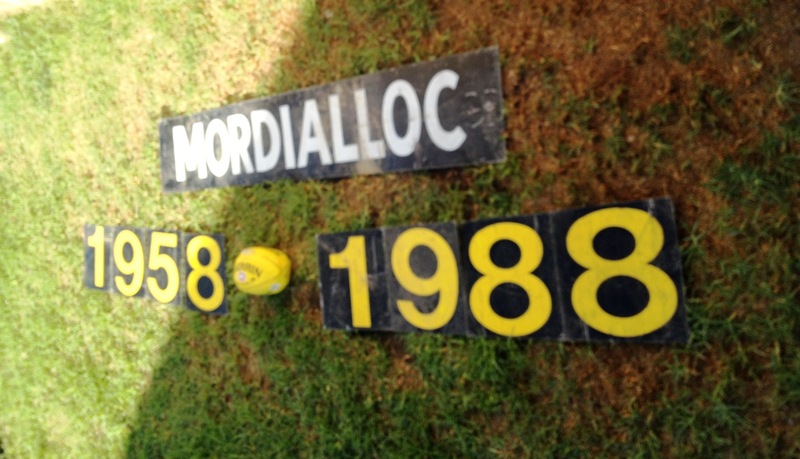 He found Mordialloc, which played in the VFA for 30 years. The Bloods are now part of the Southern Football League. The ground is now the home of Springvale Districts, the Demons.